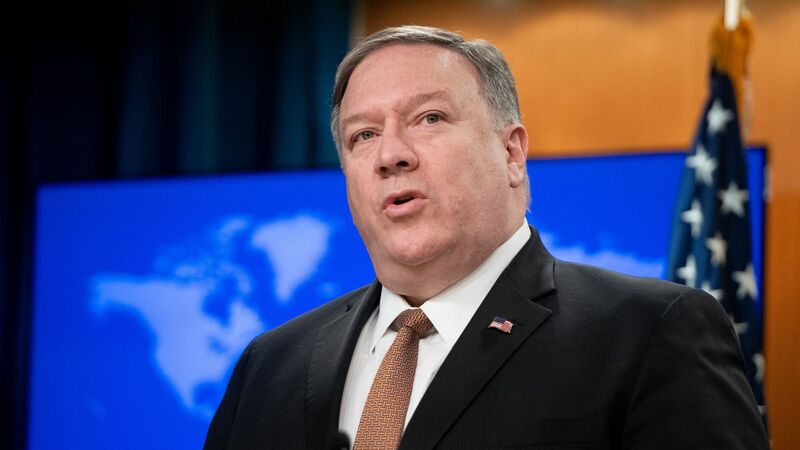 Secretary Mike Pompeo escalated the Trump administration’s maximum pressure campaign on Iran with his announcement that the State Department would add Iran’s Islamic Revolutionary Guard Corps (IRGC) to its Foreign Terrorist Organization (FTO) list on April 15. Why it matters: The FTO designation builds on the existing web of U.S. penalties against the IRGC — which has spawned and backed countless proxies and militias in the Middle East and carried out or supported terrorist actions on several continents — and makes it even harder to do business with individuals or companies tied to the group. Background: The past three U.S. administrations have used executive branch authorities to sanction the IRGC and its affiliates for involvement in Iran’s nuclear program, human rights violations, cyber-enabled rights crimes and terrorism. To be added to the FTO list, a group must retain “the capability and intent to carry out” terror activities against U.S. persons or security interests — a threshold the IRGC meets. An “FTO designation triggers a criminal prohibition on knowingly providing material support or resources to the designated organization,” according to a State Department fact sheet. Law enforcement stands to play a greater role in Washington’s efforts to deny Iran access to resources and funding. What they’re saying: IRGC Commander Major General Mohammad-Ali Aziz-Jafari, Chief Justice Seyyed Ebrahim Raisi (a rumored successor to Supreme Leader Ali Khamenei), and other officials have denounced the move. Foreign Minister Mohammad-Javad Zarif has already threatened a reciprocal designation. The bottom line: This move further stigmatizes the Guard Corps by putting them on equal footing with non-state Sunni jihadist groups and places the burden on the IRGC to change their behavior or live with the stigma — and penalties — of the FTO list.